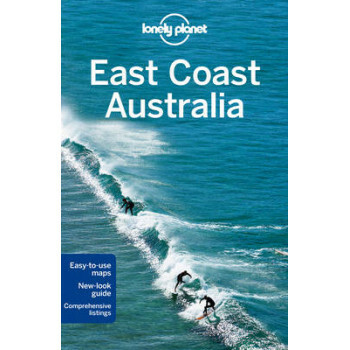 Lonely Planet: The world's leading travel guide publisher Lonely Planet East Coast Australia is your passport to the most relevant, up-to-date advice on what to see and skip, and what hidden discoveries await you. Eat and drink your way through Sydney's hippest restaurants and bars, explore the Great Barrier Reef's underwater wonderland and walk through the canopy of the World Heritage-listed Daintree Rainforest; all with your trusted travel companion. Get to the heart of East Coast Australia and begin your journey now! Inside Lonely Planet's East Coast Australia Travel Guide: *Colour maps and images throughout *Highlights and itineraries help you tailor your trip to your personal needs and interests *Insider tips to save time and money and get around like a local, avoiding crowds and trouble spots *Essential info at your fingertips - hours of operation, phone numbers, websites, transit tips, prices *Honest reviews for all budgets - eating, sleeping, sight-seeing, going out, shopping, hidden gems that most guidebooks miss *Cultural insights give you a richer, more rewarding travel experience - including history, politics, food, wine, sport *Over 100 maps *Covers Sydney, Melbourne, Brisbane, the Gold Coast, Byron Bay, Canberra, Fraser Island, the Whitsunday Islands, Cairns, the Daintree Rainforest, the Great Barrier Reef and more The Perfect Choice: Lonely Planet East Coast Australia, our most comprehensive guide to East Coast Australia, is perfect for both exploring top sights and taking roads less travelled * Looking for a guide focused on Queensland and the Great Barrier Reef? Check out Lonely Planet's Queensland & the Great Barrier Reef guide for a comprehensive look at all this region has to offer. * Looking for more extensive coverage? Check out Lonely Planet's Australia guide for a comprehensive look at all the country has to offer, or Discover Australia, a photo-rich guide to the country's most popular attractions. Authors: Written and researched by Lonely Planet, Charles Rawlings-Way, Meg Worby, Anthony Ham, Peter Dragicevich, Trent Holden, Kate Morgan, Tamara Sheward. About Lonely Planet: Since 1973, Lonely Planet has become the world's leading travel media company with guidebooks to every destination, an award-winning website, mobile and digital travel products, and a dedicated traveller community. Lonely Planet covers must-see spots but also enables curious travellers to get off beaten paths to understand more of the culture of the places in which they find themselves.